Would you believe it – the festive season is almost upon us! This means that the Archives & Collections elves are busy preparing to do some behind the scenes work to keep our service in tip top condition for the New Year! If you do have an urgent enquiry, please telephone us on 0141 566 1418. If you are a GSA student or member of staff and would like to discuss using our holdings for research projects or teaching purposes, please email s.waters@gsa.ac.uk. 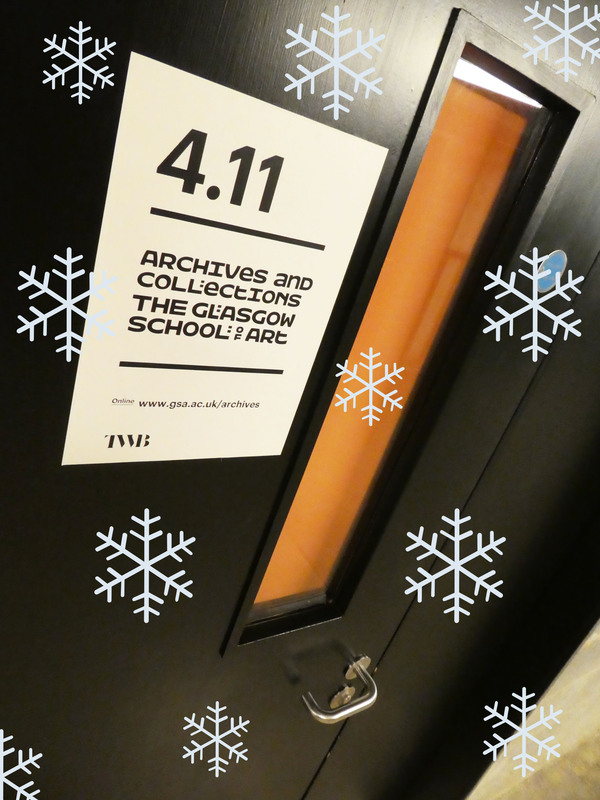 In the meantime, enjoy some mince pies and mulled wine and we look forward to seeing you again on the 19th!